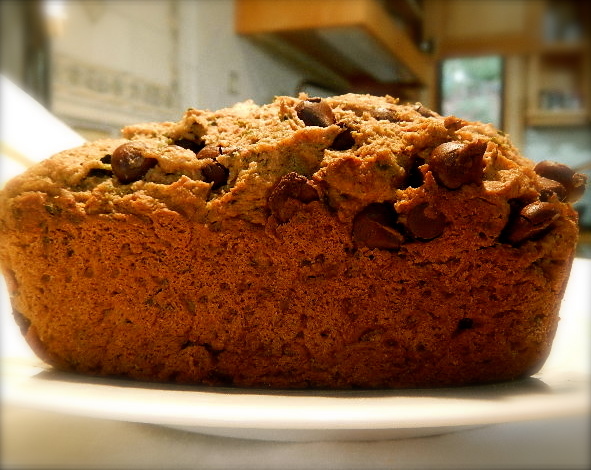 What to do with the pulp from your juicer: Pulpy Chocolate Chip Bread! All the cool kids are doing it. Yeah that’s right, it, and you know what it is, juicing. Everybody’s on the juicing bandwagon, and with benefits like increased nutrient absorption and mental clarity, why wouldn’t you be? Ok, I can think of a few reasons…I hate to say it, but juicing does have a dark side, not like a Dexter Morgan “I’m secretly a serial killer” kind of dark side, just a “I’m a pretty expensive way for you to consume more sugar than you really need” kind of dark side. That’s right, juicing is great, but it’s still juice – that thing you probably shouldn’t give to babies or they’ll end up obese, it’s not just about apple juice, it’s about juice, the sugary nectar from fruits and vegetables. 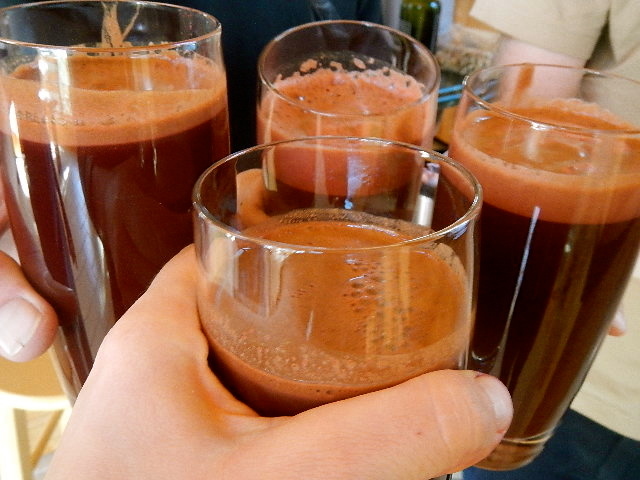 Juice, when done correctly, is also very expensive. For a long time, I would get frustrated by the prices when I walked in to New Moon, our local health food store in Truckee. But truth be told, the prices are fantastic. New Moon is getting their organic vegetables at a wholesale cost, and you will find quickly that purchasing the amount of organic vegetables that you need to squeeze and grind in to one juice is rather pricey, even if you do it on your own at home. You could likely take that same amount of vegetables and divide them about into your meals throughout a day or two, just as if not more healthy (you’re eating the skin and fibers), and far more economical. Mix bowl 1 together with a hand mixer, then add Bowl 2 to Bowl 1, mix the bowls together until well incorporated. If the conglomeration seems too soupy, add flour. 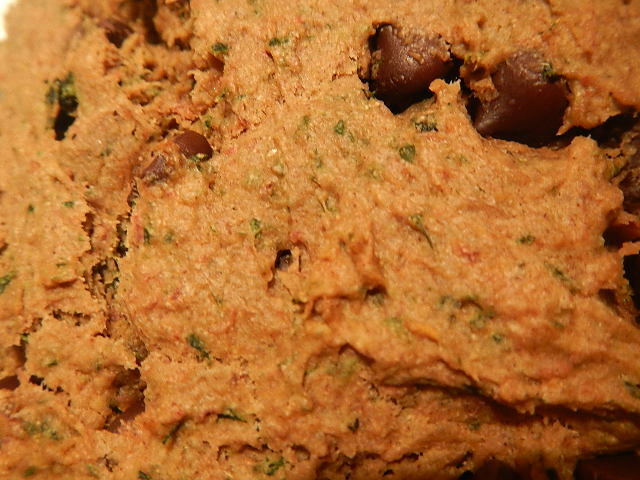 Once the bowls are well mixed, add 1 cup of dark chocolate chips, and walnuts if you please! Bake at 350 for about forty minutes. Enjoy!